Soaking in a hot tub is one of the best things you can do relax you after a hard day at work. While a permanent hot tub fixture is expensive to set up and maintain, an inflatable option can be a cheaper alternative. Inflatable hot tubs are generally pretty portable, though they do require some upkeep, just like a traditional model (Source). Another advantage is they can be inflated for use and then deflated for storage purposes. Some of them also feature massaging jets - like our top pick the Coleman Lay Z Spa. Have a look at them to help you decide on the right portable hot tub for you. 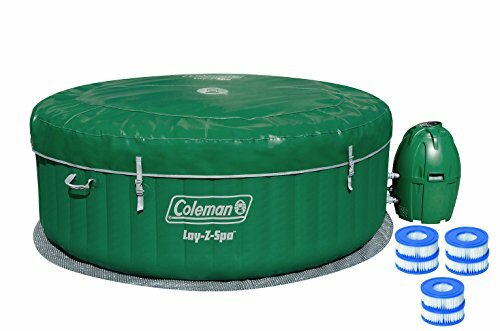 If you are looking for an affordable and feature-rich inflatable hot tub, the Coleman Lay Z Spa could be a good choice. Made of durable fabric-coated cover, it is a resilient option with a cushioned floor for added comfort. The drain valve is conveniently placed and the tub has luxury features such as the Lay-Z massage feature, which is an added advantage. With the well-reputed Coleman name, you can be assured of a durable product. The integrated filter also helps to maintain the cleanliness of the tub. The Intex PureSpa Portable Bubble is a more expensive option than the Coleman hot tub and not as highly rated by our testers. It does feature an insulated lid and lock. This ensures added safety and the heat loss is also reduced. A family of four can fit in the tub comfortably. The hot tub comes with various accessories including heating system, 2 filter cartridges, a three-way test strip, inflation hose, a thermal cloth for the ground and a carry bag. 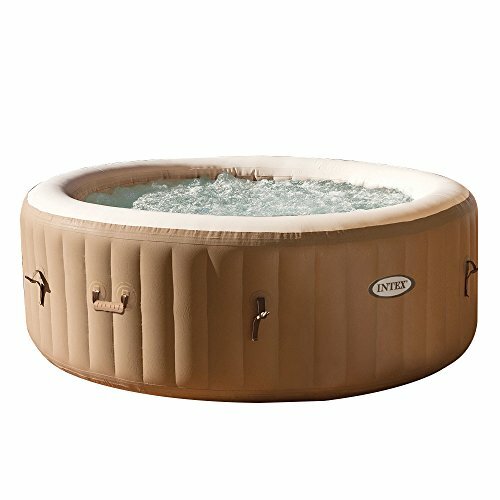 The Intex hot tub also has a capacity of 210 gallons of water. If you require a hot tub with a smaller footprint, the Bestway Lay Z Spa Miami inflatable hot tub could be a good choice. It also has an affordable price tag, which is a definite draw. It also has an easy filling system with a digitalized control panel. Ideal for households that have limited space- the tub can easily fit into balconies, conservatories and small gardens. This portable hot tub ships with a maintenance guide, an installation chemical floater and 2 spare filter cartridges. 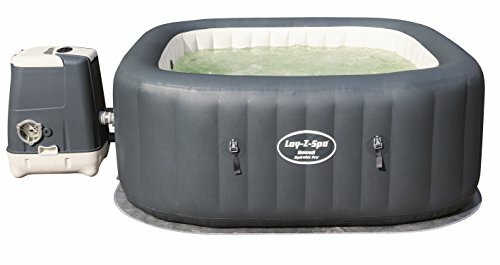 The Lay Z Spa Hawaii Hydrojet is one of Bestway’s top-selling inflatable hot tubs, which is one of the more well-reputed names in the industry. For those who prioritize comfort and low maintenance, this hydrojet model is a solid option. Some of its best features include adjustable hydrojets, integrated filtration system for water and fast heating process, and its ability to accommodate 6 people comfortably. An installation maintenance guide is provided that really helps that the setup will get done quickly and without too much hassle. 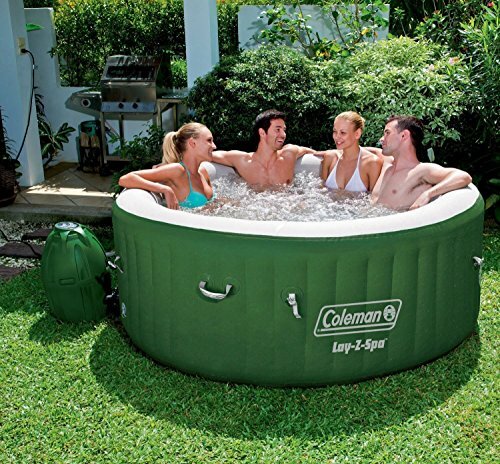 If you are looking for a hot tub that provides a soothing bubble bath, requires little maintenance and has a relatively affordable price tag the Coleman Lay Z with filter cartridges could be a quality option. Coleman products are reputed for their durability and comfort factors. This product too does justice to the Coleman name. With features such as the Lay-Z massage system, integrated water filtration, fast heating and six filter cartridges, this hot tub could be a good purchase. 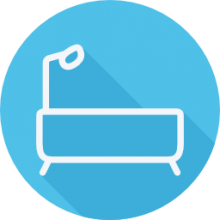 An inflatable spa & hot tub is a type of movable hot spa which is transportable, less space-consuming than normal options, and produced from substances which are significantly less hard compared to standing types. Just like various other inflatable products and equipment, it is usually inflated employing an air pump, which might likewise be able to extract the air out from the hot spa tub when it's time for you to store the product. A blow up spa frequently includes a cover, much like conventional spas, even though it is generally additionally inflatable. You will find benefits and drawbacks to using an inflatable hot spa tub. One more reason why some individuals buy blow up options rather than ordinary styles is cost. They're usually a lot more reasonably priced, even though the cost can differ depending upon the unit. One of the greatest drawbacks of an blow up hot tub is its dimensions. It can hardly ever support as many people as an ordinary option, so it is much less suitable for use while entertaining your friends and family. This often is not a difficulty for those who intend to use one by themselves, or with simply a single other person. Some can take up to six people, but fitting six adults generally in most of these units may well feel a bit crowded. ​Similar to every other type of hot tub, an inflatable unit demands upkeep. So as to keep it in excellent condition, it is essential to comply with every one of the servicing principles outlined in the user guide.